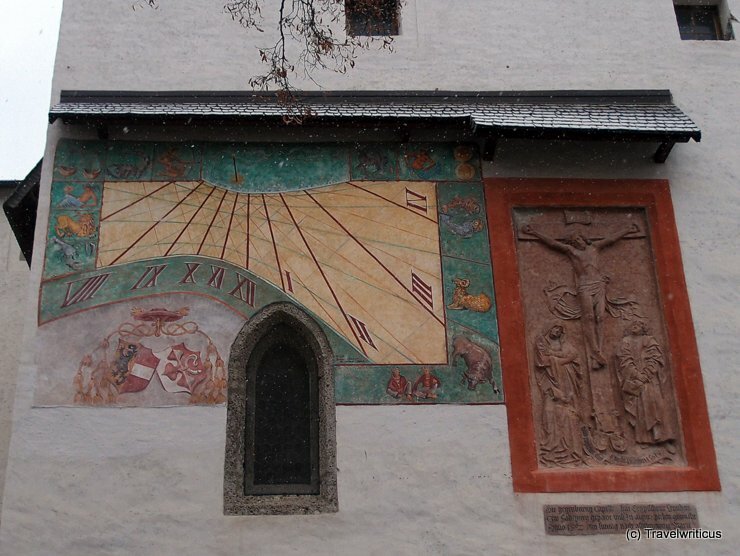 This sundial is situated at the St George’s Chapel of Hohensalzburg Fortress (Festung Hohensalzburg). It shows the emblems of the Archbishopric of Salzburg and Archbishop Matthäus Lang von Wellenburg. The original sundial was created in the 16th century but today one can see a kind of reconstruction built in 2001. This entry was posted in Sundials and tagged Austria, Salzburg, Salzburg City by Travelwriticus. Bookmark the permalink.